We are all have creative talent but sometimes it is buried deep within us. If you asked a group of kids in the second grade if they are creative about 95% of them will say that they are. If you ask them again when they are in fifth grade that number will drop to about 50%. By the time they are in high school the percentage has flipped and only 5% will say that they are creative and 95% will say that they are not. The problem is that during the third grade we start to get critical of our work. Our pictures don’t look as realistic as we want. Our stories aren’t as interesting as we thought. Someone laughed when we sang a song. And on top of that we start to see a few kids who really excel in a particular area and we feel like we can never measure up. In history we learn that the Renaissance (or re-birth) was a cultural movement that helped move civilization out of the Middle Ages. 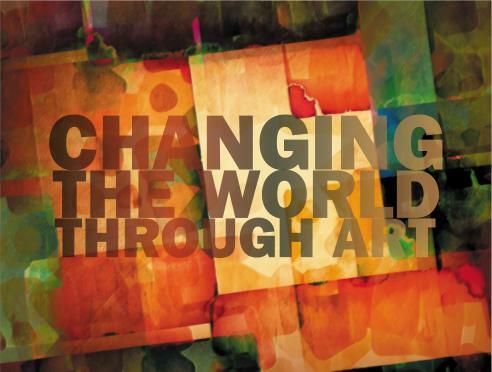 During these few hundred years we see art and creativity flourish and bring transformation to our world. It was literally a re-birth and was influential in making the world what it is today. I have had many discussions with my friends on how to change the world. Most people will offer up ideas like medicine, technology or even things like solving world hunger. Although these things are good, I have observed something even more powerful than these things. If you want to influence a civilization your best bet is to do it through art. If you don’t believe me just go to a mall one Friday evening and sit down and watch the people walk by. If you are reasonably perceptive you can probably guess what kind of music that the majority of people listen to simply by the way that they dress. If you add age into the equation you can probably hone in on specific artists too. If you take it one step further you can probably also surmise what kind of movies and TV shows that person watches. Granted this is an exercise in being biased it proves a point that art ultimately affects our lives in a very powerful way. Probably more powerfully than we even give it credit. The TV shows we watch. The music we listen to. The books we read. The art we ponder. All of these things work together to influence us. So, how do you change the world? By being creative and using art. I know that we are not all legendary artists, and not all of us even have the luxury of being able to make a living from art, but you must realize this…you are a creative genius! Maybe that creativity was buried long ago underneath layers of schooling, criticism and failure but it is in there nonetheless. Art has this amazing power to convey emotion whether it be writing, photography, filmmaking, painting, music or dance. Then when you take an emotion and connect it with a message you have something very powerful. When is the last time you felt truly creative? When is the last time you splattered paint on a canvas and didn’t care what anyone else thought? When is they last time you sang at the top of your lungs? When is the last time you wrote your unfiltered thoughts down? Even if you never give anyone the benefit of appreciating your creativity it will do something for you. You will be able to release emotion and feeling into what you do. It will change who you are and that is often the first step in being able to change the world. It doesn’t have to make sense. It doesn’t even have to be “good.” It just has to be YOU. I wish more people would think this way. Art shows our heart more than any other endeavor.